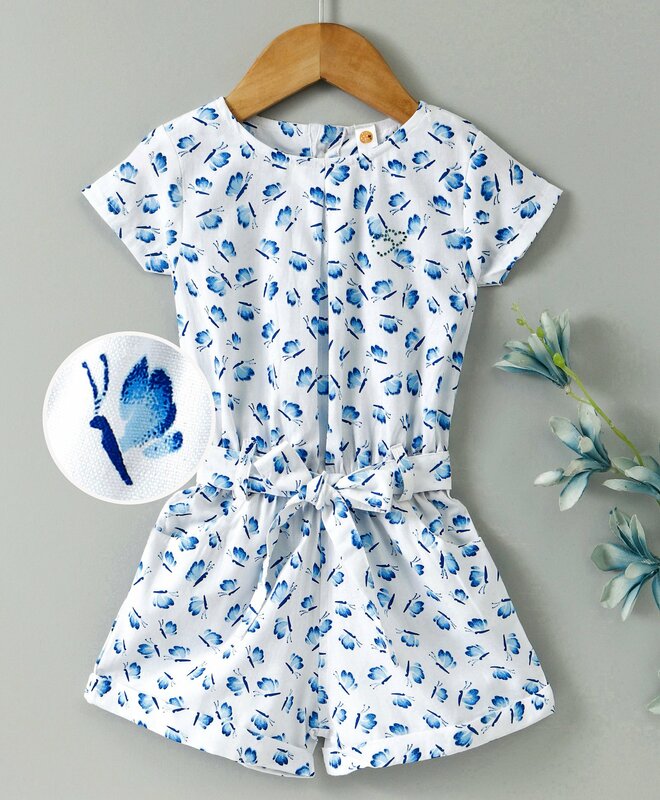 This beautiful Jumpsuit from Dew Drops is a must-have for her next family holiday. Crafted from soft fabric, this design has a comfortable round neckline and back button closure. Adorable print and belt makes it look attractive. Pair with sandals and a hat for a stylish look.